Twelve years after their acclaimed debut and three years on from the previous release, Norwegian goth metal pioneers Tristania are back with their long awaited sixth studio album Rubicon. True to tradition, progress and diversity have been paramount in the creative process. With Rubicon, Tristania once again explore musical boundaries, playing with new and familiar elements and trifling with genres. The album consolidates an array of grand arrangements, sombre moods and elaborate harmonies blended with upbeat ear-catchers and outstanding vocal performances. Pushing outwards, Rubicon is still permeated by the gothic nerve which makes up the backbone of Tristania’s music, and which trademarks all of their releases. Tristania, a melancholic metal formation from Norway, was formed in 1996. Just few months later, in May 1997, the musicians enter the studio to record their first demo album. The songs quickly gained attention from the labels and in summer 1997 the group signs with Napalm Records to release their first EP. Inspired by good reviews for the first release in Europe, the band was eager to record the debut album. Tristania’s first full length, Widow’s Weeds, was recorded during the last weeks of 1997 and released early 1998. The formation has release five full length albums so far. During the years their music evolved and shifted from symphonic metal and sophisticated compositions to simple, harsh and raw tunes with elements from a large variety of genres, such as gothic rock, death metal, classical music and black metal. Tristania tour list included almost all European countries, including Russia and Ukraine, as well as both American continents. The band shared the stages of all most important rock/metal festivals with other legends of the underground: Tiamat, Samael, Anathema, Enslaved or Kreator. 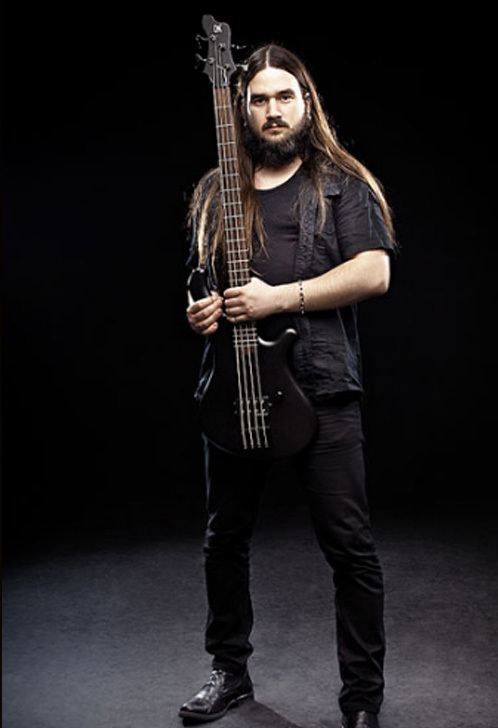 “My two Mayones Gothic Be basses are simply amazing instruments. They are custom build to suit my needs for both power and tone, and versability. One bass has Bartolini passive humbuckers, with active electronics. This gives an extraordinary warm and full tone, that still has lots of power. The other has a Basslines Musicman style humbucker, which provides massive power and definition. They are well balanced, easy to play, but not over-easy. They both are of outstanding build quality, feels perfect to wear, and look very good too!